Steve Napier DDS, has generously offered to make custom mouthguards for $25. Steve is a local Hinsdale resident with three lacrosse playing daughters who likes to give back to the community. These mouthguards are typically sold for $125 or more. At Steve's price these mouthguards are only slightly more expensive than the "boil and bite" mouthguards and are so much more comfortable and safer. If you are interested please make an appointment at one of Steve's offices by visiting his website. The Franklin Park office is the closest. It is estimated by the American Dental Association that mouthguards prevent approximately 200,000 injuries each year. Victims of orofacial injury sustained during participation in sports may face lifetime dental costs of $10,000-$15,000 per tooth, hours in the dentist’s chair, and the possible development of other dental problems such as periodontal disease. Protect your athlete, protect your child, and prevent such injuries! Grand Dental understands the importance of such a mouthguard and the time involved in the process. 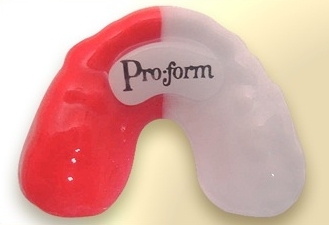 A custom-made mouthguard designed by your dentist is the most satisfactory of all types of mouth protectors and is the mouthguard preferred by the American Dental Association, Academy of Sports Dentistry, American Academy of Pediatric Dentistry, American Association of Oral and Maxillofacial Surgeons, and the American Association of Orthodontists; overall the risk of injuries is lessened by about 90% when wearing a custom-made mouthguard. Boil-and-bite, while they offer SOME protection, do not provide the best fit and the ultimate protection your mouth, head, and athlete require. Boil-and-bites are self-explanatory; forming the bite after boiling and using your fingers, tongue and bite to form it around the upper teeth and mouth. If the form is not accurate, they can become loose if jarred and they are bulky making it hard to breathe, speak and drink during activity. On the other hand, a custom-made mouthguard is well worth the money! Prevention alone is worth the price.